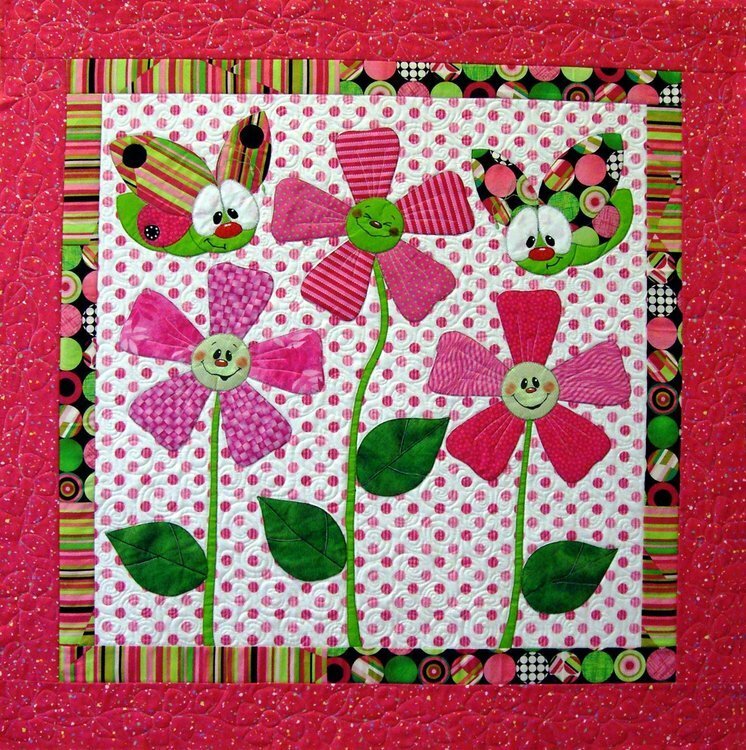 This cute baby quilt has flying bugs and happy flowering faces to bring a smile to everyones face. Templates for five different flower faces are included. Nice big appliqué pieces make this quilt go together fast and easy. The templates can be used with your favorite method of appliqué. Approximately 47"x 47"
Bees Bunnies and Bears (BQ-02) Approx. 48"x 48"